To put it simply... Costa Blanca is a paradise. With thousands of kilometers of golden Mediterranean beaches, a slow and easy lifestyle, and more sun in a summer than most countries see in years, it's no surprise that the Costa Blanca has become a real estate hotspot. If you're thinking about buying a Spanish property, you may have heard from those who have gone before that the process is pretty complicated. And while, yes, there are some hoops you'll need to jump through in order to complete a successful purchase, if you take things slow and use plenty of caution, buying a property on the Costa Blanca can be a relatively pain-free process. The first thing you need to do when starting to shop for Costa Blanca property is... proceed with caution. There are a lot of little hidden pitfalls in the Spanish real estate system that can get you in trouble-- leaving you liable for mortgages or taxes which aren't your own, or leaving you with a property that you don't even own. Keep in mind that the Spanish legal system is backed up years in advance, with a backlog of thirty-five thousand cases sitting waiting for the Spanish Supreme Court. So if you get into ownership disputes or other legal troubles, you may just find that your fight outlives you. Now that that's out of the way, we can get onto what you can do to prevent all that ugliness. 1. Finding an Estate Agent in Spain. If you're not careful, this can be the very easiest part of your search for Costa Blanca real estate. There are more estate agents in Costa Blanca than regular citizens, it seems... everywhere you turn you find a real estate office. So finding one is easy. But be sure to do your homework, and pick a reputable company that keeps its client's best interests in mind. Which is rarer than you might think. Also, be aware that, in Spain, the size of a company does not necessarily speak for its quality. Some of the worst estate agencies in the country are also some of the largest. 2. Finding a Lawyer or Solicitor in Spain. We offer free legal advice to their clients. But, if you want - finding an English-speaking lawyer in the Costa Blanca is pretty simple. If you do a quick search online, there are several out there with websites and plenty of information on their services. Yes, getting a lawyer is an extra fee that you might think you can do without. But most Costa Blanca lawyers will inform you up front of their fees, which generally run about 1% of the property's purchase price, plus VAT. And that extra 1% can make the difference between a successful purchase and ending up with nothing. 3. Evaluate the Property. When you've found a property that you're interested in making an offer on, it comes time to do an in-depth evaluation of the property and its history. This is where that lawyer or real estate agent you contracted really comes in handy. Be sure that your lawyer or real estate agent checks the property register for any property you're interested in purchasing. This register will show immediately whether or not that property is actually owned by the person doing the selling, and whether any liens, mortgages, taxes, etc. are owed upon it. This registry should be checked twice-- once before making and offer, and again just before the purchase is completed. Because it is legal in Spain for sellers to take out a mortgage on a property which is under negotiation for purchase-- and after the purchase is complete, you will find yourself liable for paying any sneaky new mortgages. 1. The Preliminary Contract. 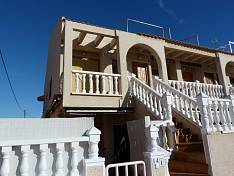 The first stage in purchasing a Costa Blanca property is to agree with the seller on a purchase price. Then, in order to take the property off of the market and reserve it for your purchase, a preliminary contract is generally drawn up. 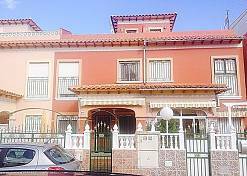 This contract, called a Contrato privado de compraventa, contains all the details of the property, along with the agreed purchase price. 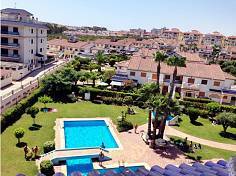 At this time, you will generally pay a deposit on the property of about 3 000 euros. These funds will be held in a bonded account until the purchase is complete. 2. The Final Contract. When the purchase is made complete, the purchase price (minus the already-paid deposit) and all fees must be paid. The final contract, or Escritura de compraventa, is then signed. You then receive a public deed for the property, which must be witnessed by a Notary Public. A copy of this deed will be given to the tax office and the property registry. Be sure to have your lawyer handy throughout this process. When deciding whether or a not a property fits into your budget, it's very important to keep fees in mind. Because if the property you're looking to purchase is on the edge of being too expensive, the fees may just tip it over into breaking your budget. For any Costa Blanca property, plan to pay 12% of your property's purchase price in additional fees.